At The Women's Specialists of Fayette, Nicole Quinn, MD, takes pride in helping her patients feel empowered to take part in their own health care. She works alongside her patients in the Fayetteville, Georgia, community to find solutions for their most challenging women's health issues. Dr. Quinn first completed her undergraduate studies at Louisiana State University in Baton Rouge. She later went on to earn her medical doctorate at Louisiana State University Medical school in New Orleans. In 2016, she completed her internship and residency at MetroHealth Medical Center in Cleveland, Ohio. Dr. Quinn is also board-certified in obstetrics and gynecology. 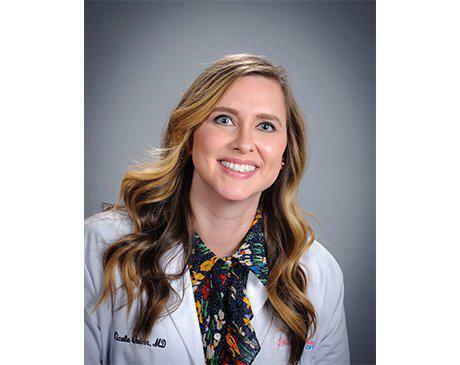 At MetroHealth Medical Center, Dr. Quinn was repeatedly recognized for her exceptional research abilities. She was awarded the Excellence in Resident Research for her many projects on the subject of breastfeeding. Dr. Quinn also earned the Resident Award for Excellence for her accomplishments in performing minimally invasive surgery. Today, Dr. Quinn's special interests include adolescent gynecology, preventive health, breastfeeding, and low-intervention childbirth. She enjoys caring for women experiencing both low-risk and high-risk pregnancies. Dr. Quinn finds it especially rewarding to educate adolescent women about gynecologic care. When she isn’t working with patients, Dr. Quinn enjoys spending time with her husband and three children. As a family, the Quinns enjoy traveling, cooking together, and exploring Peachtree City in their golf cart.